Subwoofer Trolley Speaker has a built-in wireless Bluetooth module that makes it easy to connect your phone to Bluetooth devices on the market. It supports usb playback, recording and looping. It also features an FM radio that collects favorite channels. The special acoustic cavity structure allows it to reject loud noise while having a large volume. 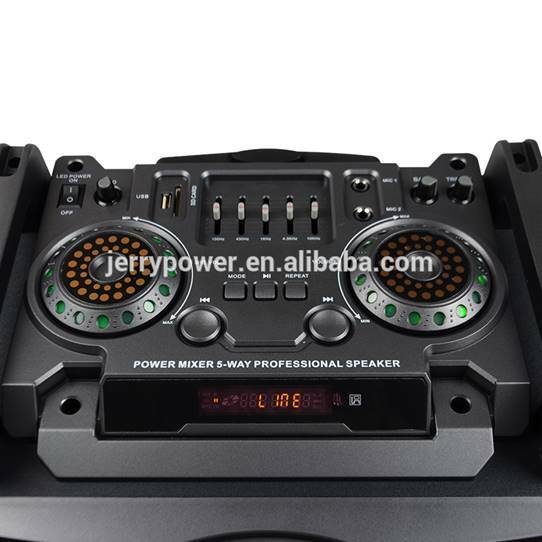 The Subwoofer Trolley Speaker has built in USB & SD Slot, and built in Bluetooth FM radio. This Bluetooth speaker and mic stream music from wireless Bluetooth devices & FM radio tuner and 5-band equalizer. The Bluetooth speaker and charger convenient telescoping handle and trolley wheels. Accessories include: USB Recharge Cable and AUX audio cable. 1. Built-in large-capacity battery keeps your music playing continuously. 2. It has good compatibility and can be connected to computers, mobile phones, tablets, etc. through audio cables. 3. It supports audio playback of U disk devices, which can meet your deep demand for music. 4. 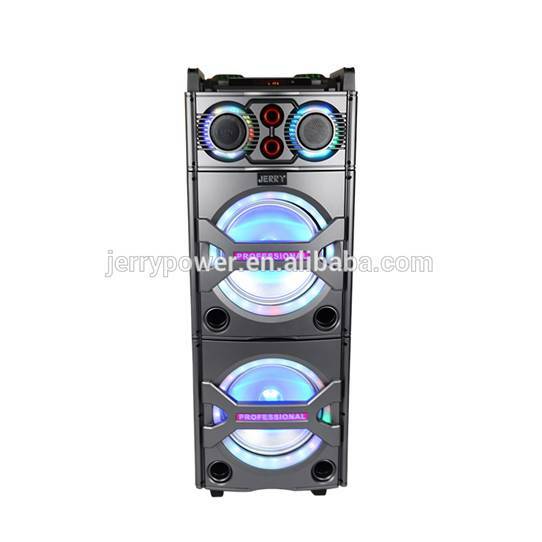 The 10-inch dual voice coil woofer is equipped with ABS thickened chassis for intelligent silence, which can effectively improve the original sound volume.